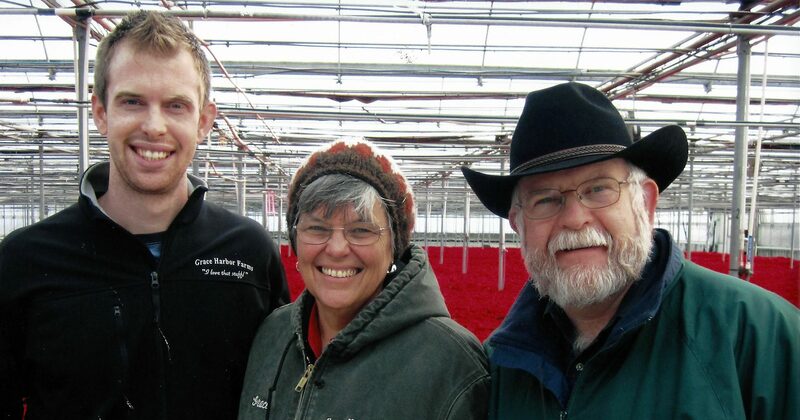 The Lukens family didn’t start Grace Harbor Farms with the intention of growing a commercial business. 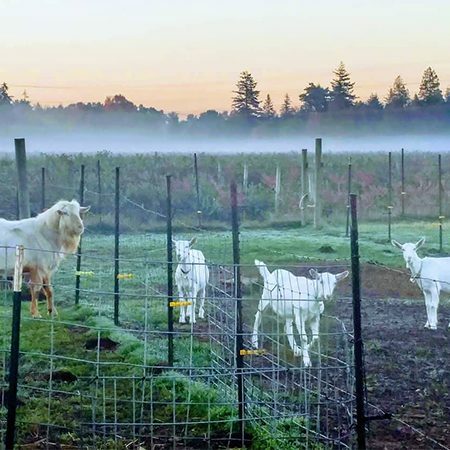 Originally, starting a farm just seemed practical: Y2K was looming, and the Lukens understood the value of having milk-producing animals as a part of their emergency plan. As you may know, Y2K didn’t happen, but the Lukens realized they were pretty dang good at creating high-quality products the marketplace just might want. They prioritized healthful recipes with locally sourced, wholesome ingredients from the get-go. 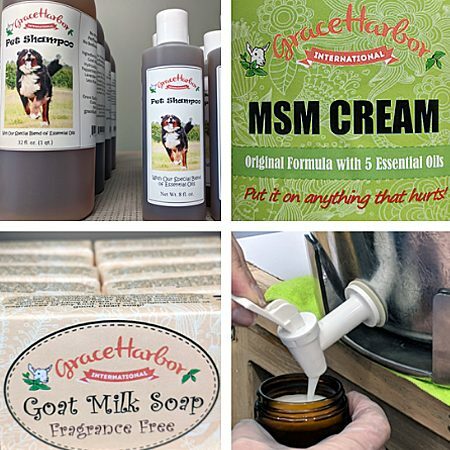 Originally, Grace Harbor owned a herd of dairy goats and they sold goat milk soap and body products to much fanfare. 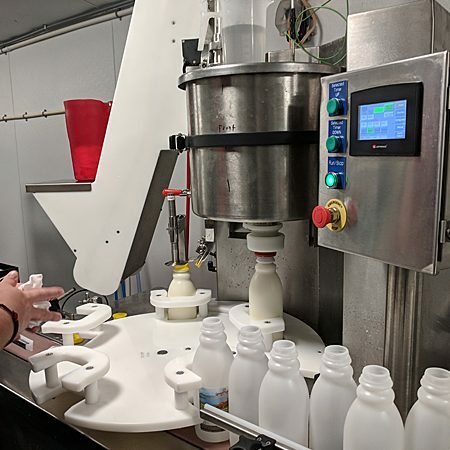 Fast forward a generation and Tim and Grace’s son, David, has helped grow the business into a dairy, creamery, and distributor that creates wholesome and natural products like kefir, yogurt, and milk! 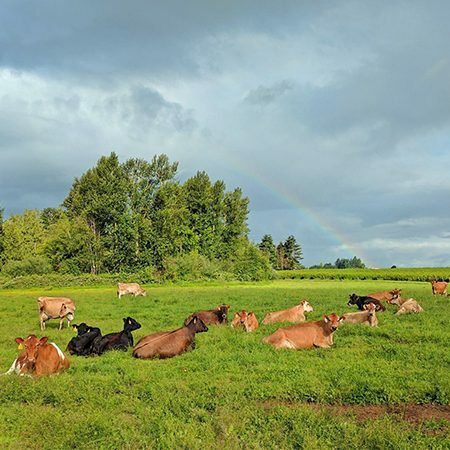 In Whatcom County, we are blessed with many conscientious dairy farmers who strive to farm in a way that benefits the community and the land. Grace Harbor Farms was one of the dairies to lead this charge back in the early 2000s. Since then, they’ve made huge strides in the local food movement, and have been resolute about sharing their acquired knowledge and experience with other farmers and local producers. 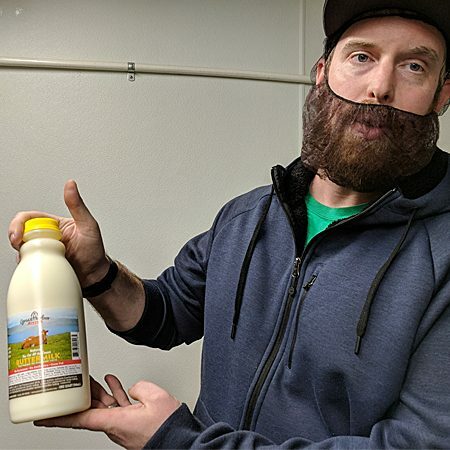 I sat down with Tim and David to reminisce about their journey from farming a couple goats as a Y2K precaution to creating a successful dairy business that distributes dairy products throughout western Washington. Their path has been interesting and taken a number of unexpected turns. Originally starting with just two dairy goats, the herd grew organically and they soon had plenty of milk to make wonderful body products. 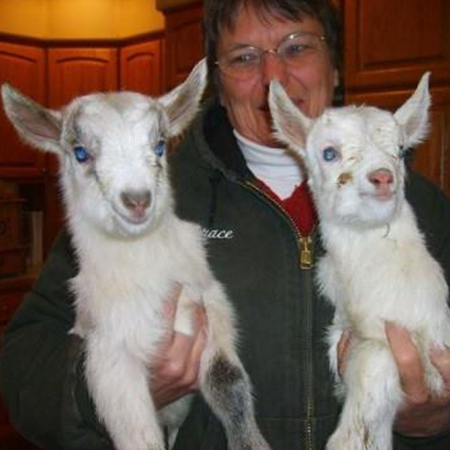 Eventually, they grew so big, and the consumer demand so strong, they started making goat cheese and bottling goats milk. The Lukens lives took another fortuitous turn when David married into a dairy family that raised and milked Jerseys and the farm expanded and grew once again. Central though to their business has been processing and distribution. It is one of the biggest challenges small, local farms face in getting into the marketplace. “We started delivering our own products to our retail partners in the very beginning. It was what we had to do to get into the market place,” says David. Tim explained that when a local producer decides to hand their product over to a large distributor, they hand over their autonomy as well. The distributor decides where it goes on the shelf and what it’s priced at. “Simply because the distributor will take almost as much margin as the producer themselves,” says Tim. You’d think that would make setting the product at a fair price to entice consumers. Unfortunately, large distributors can have hundreds, or even thousands, of products to distribute and the small roster of locally produced goods doesn’t hold the same amount of value for distributors. “I learned very rapidly, that for a distributor who makes their bread and butter from major brands, they have no incentive to help you,” Tim says. Additionally, “a lot of times the dairy farmer gets hit with the loss in milk prices. The company can’t sell what’s in the store,” Tim explains. So, when the distributor inevitably doesn’t sell their local products, because they’ve been priced too high and can’t compete with global products, the distributor send the merchandise back to the producer and charges them for it! Tim explains to me how the system is designed to support global markets over local ones: “In a closed system like the dairy industry, the cost adjustments flow backward. Because the stores are not reducing their operating profit margins, the distributor is not reducing their profit operating margins either,” he says. “You gotta do it yourself, or you gotta have a system that will get the cost low enough to make it happen,” says Tim. 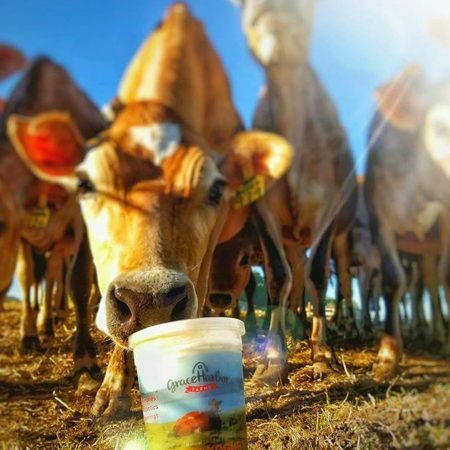 “It’s the reality of what it takes to run an effective creamery and distribution company, which then translates back to the farm. The farm has to make money, and that’s a huge disconnect that people don’t realize unless they’re a farmer’s market buyer or natural food advocate,” says David. So, choosing a reputable distributor that is willing to promote your product and give it a fair chance is something that can make or break a small farm trying to make a name for themselves. In tackling this issue Grace Harbor created a pathway for other small farms to succeed. They have built a strong foundation with a robust creamery that can process and make a multitude of amazing products. 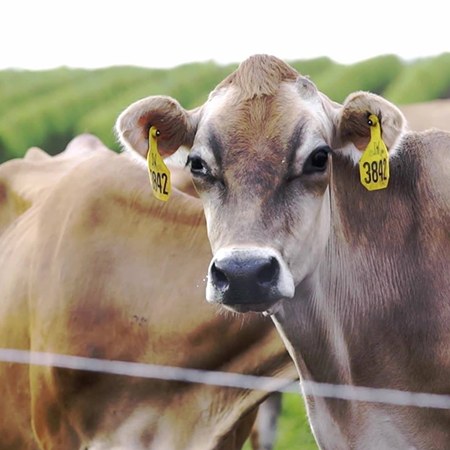 They buy from a variety of small local dairies in addition to producing and processing their own milk. “We work directly with the farm and we’re there for them,” says David. They take pride in being able to support other small family farms. They use low temp pasteurization and don’t homogenize anything, which is why their products are so creamy, full of flavor and healthy to boot. 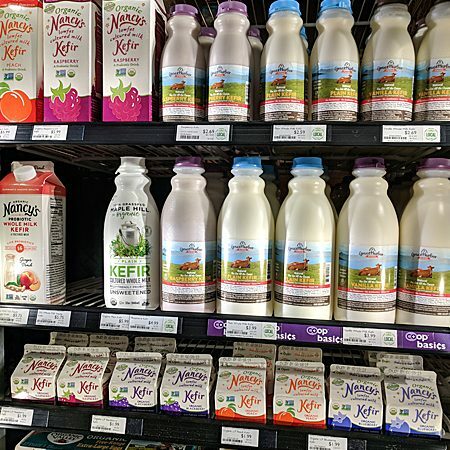 Grace Harbor now makes yogurt, kefir, chocolate milk, whole milk, goat milk, and eggnog during the holiday season. Along with an entire goat-milk based skincare line. It’s then delivered to local grocers and is on the shelf next to other conventional brands, with a price that’s just as nice as the taste. “The local food movement will get stronger,” David says. “The key for us to survive as a small scale company is the consumer,” explains Tim. Because the consumer sets the demand that the distributor is trying to meet. As consumers prefer to purchases more local products, the system will change to meet those demands and thus be forced to adequately support the small farmer and their business. Sometimes the best way to provoke change is incorporating it in the smallest actions of our day-to-day lives, like which pint of chocolate milk you buy! To find Grace Harbor products visit the local Food Co-op or Haggens. You can also visit their website and use their handy map to see all locations that sell Grace Harbor.